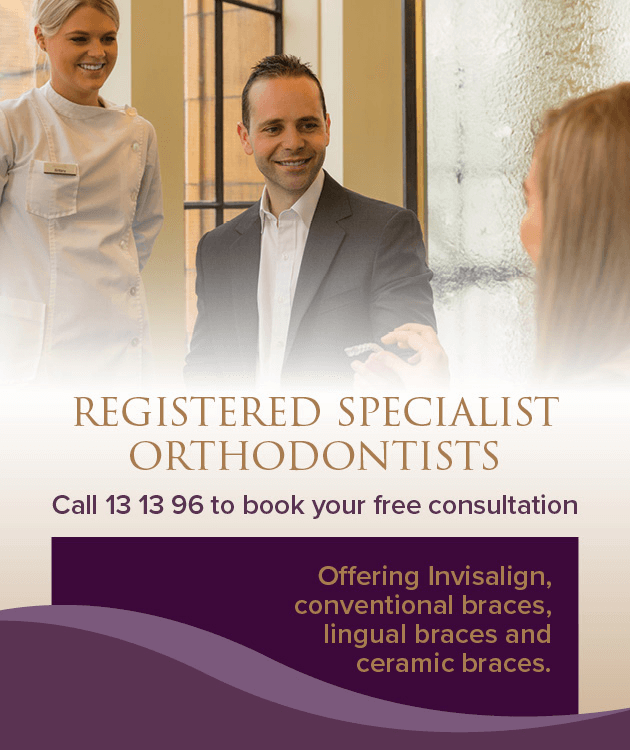 Orthodontics options for children, teenagers and adults from specialist orthodontists in Melbourne CBD. Orthodontics is the area of dentistry that focuses on correcting the position of teeth as well as improving the patient’s occlusion (bite) and the appearance of their jaw and facial features. Orthodontic treatment may involve conventional braces, internal lingual braces (braces on the inside of the teeth), clear braces or Invisalign. Orthodontic treatment can improve the health and function of your teeth, as well as enhance the health and function of your jaw and associated joints. When your teeth are in the right position, you will find it much easier to maintain good oral hygiene, in turn reducing your risk of developing decay and gum disease. Last but not least, orthodontic treatment can also improve the appearance of your smile. No two mouths are the same and that’s why the orthodontic treatment option that is best for you may not necessarily suit someone else. At Smile Solutions, we have on hand an experienced team of six dedicated specialist orthodontists who will advise on, and perform, your treatment. We offer complimentary consultations for all types of orthodontic treatment. Book by phoning 13 13 96 or submit an enquiry using the form on page. We treat patients ranging in age from six to 80. The treatment options we offer include Invisalign, conventional braces, clear external braces and internal lingual braces. Invisalign offers a virtually invisible way to straighten your teeth and improve your smile without the need for fixed braces. The position of your teeth is gradually adjusted over time by a series of clear, removable aligners, instead of fixed brackets and wires. The gentle nature of this treatment makes it an appealing option for many people. Other popular features are the fact that no one will know you are wearing the aligners, and that you can easily remove them for eating, cleaning and special occasions. Before having Invisalign treatment with Smile Solutions, one of our specialist orthodontists will assess you for suitability and provide you with a detailed outline of the process. This will give you an approximate timeframe, including an allowance for any general dental work that will be required beforehand. During your Invisalign treatment, you will need to visit your orthodontist every 6 to 8 weeks to review your progress and collect your next set of aligners. 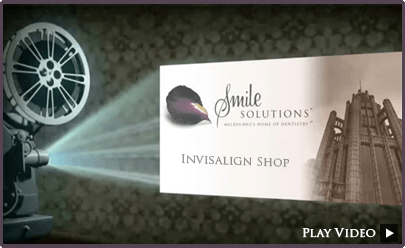 Our Invisalign Hub covers all elements of Invisalign – click here to visit. Conventional braces are fixed to the front (or cheek side) of the teeth. 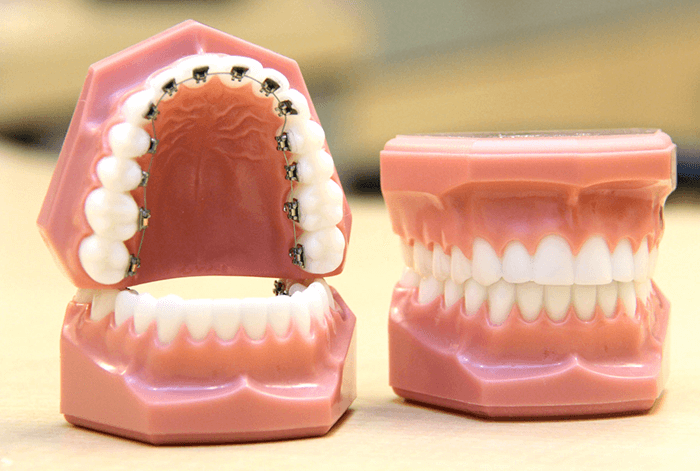 Suitable for patients of all ages, conventional braces consist of two parts: a series of either metal or clear brackets that are attached to each tooth, and an arch wire that runs through slots in the brackets. When tensioned, the wire slowly moves the teeth into the desired position. At Smile Solutions we use Empower braces in both stainless steel and clear. Empower braces differ from standard braces in that the brackets used to keep the arch wire in place do not require elastic module “ties”. This means that adjustment visits can be less time consuming and the braces themselves are more discreet, more comfortable and easier to keep clean. Having braces without elastic ties can reduce the amount of plaque that is usually attracted to the elastic, making dental hygiene easier during orthodontic treatment and resulting in fresher breath. 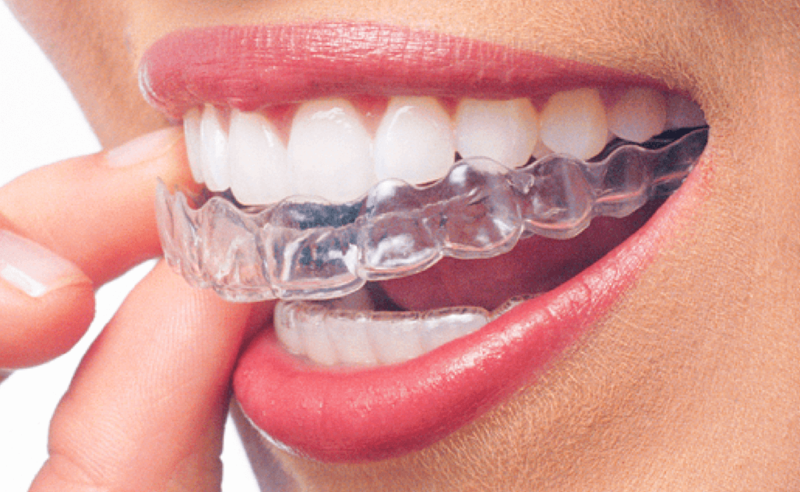 Clear braces, sometimes also known as ceramic braces, are attached to the front of your teeth, just like traditional braces, but are made from a ceramic material that matches your tooth colour. They are practically invisible from 2 to 3 metres away. A clear wire is attached to each brace and is gradually tightened, gently guiding your teeth into position. Ceramic braces work just as fast as conventional braces and are a good option for those who don’t like the look of metal braces. At Smile Solutions we use both Empower braces (in clear) and Inspire Ice braces. Internal lingual braces allow you to have orthodontic treatment without anyone knowing you are wearing braces. They are fitted to the backs of the teeth (on the tongue side). Many patients find these braces more comfortable as they can’t rub on the inside of your lips as conventional braces might. This treatment is excellent for patients who want undetectable treatment with superior orthodontic results, as internal lingual braces straighten and realign teeth just as well as conventional braces do. Internal lingual braces are the perfect choice for patients wanting a completely hidden orthodontic treatment. As with conventional braces, internal lingual braces are suitable for people of any age, although in some instances they may not be suitable for those with a deep bite. Visit our internal lingual braces page for more information. When is the Best Time to Have Orthodontic Treatment? Orthodontic treatment is suitable for people of all ages. The usual time to start orthodontic treatment in the form of braces is at around 11 to 14 years of age, when most permanent teeth have come through, but you can start treatment at any age. At Smile Solutions we see many adult patients who did not have orthodontic treatment when younger or whose teeth have moved since their previous treatment. Generally, it may be a good idea to have an orthodontist check on the development of a child’s permanent teeth at age 9 or 10 to assess whether orthodontic treatment will be necessary later on. At Smile Solutions we know the importance of prevention, as early preventative treatment can in some cases reduce or eliminate the need for braces later in life. 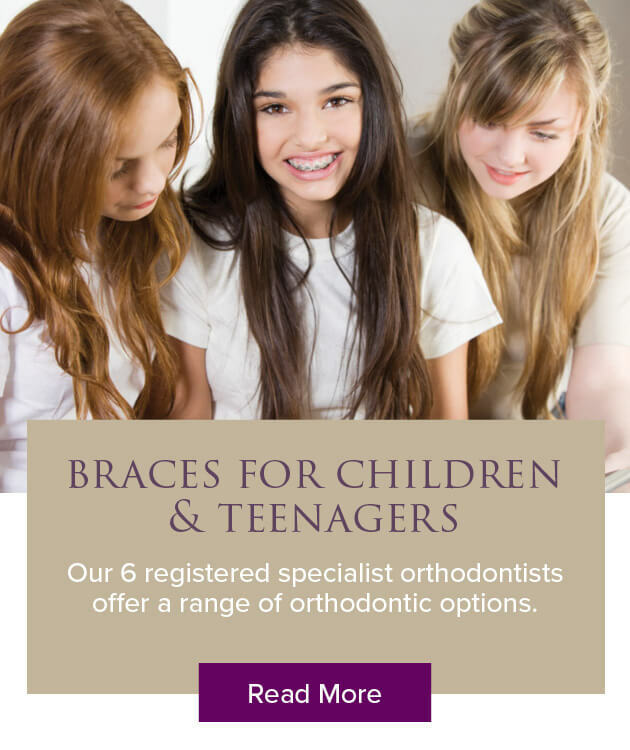 To find out more about children’s orthodontic treatment, visit our children’s braces page. Can I Have Orthodontic Treatment as an Adult? At Smile Solutions, the majority of our orthodontic patients are adults. You are never too old to have braces or Invisalign and you can start wearing them at any age. So if you want straighter teeth, come in for a consultation with one of our orthodontists and they will discuss the different orthodontic options available to you. At first it may take some time for your mouth to adapt to the feel of your braces or Invisalign aligners; and with the braces in particular, you may experience some rubbing on your lips and cheeks. When braces or Invisalign are first fitted, and following each adjustment visit or new Invisalign tray insert, your teeth will feel tight, making both teeth and gums feel a little tender. The feeling of tightness and tenderness means your teeth are moving and these sensations may last up to a week. During this time, we recommend that you eat soft foods that require little chewing. Over-the-counter pain management medication can also help if you feel a lot of discomfort. Which Bite Problems Can Be Fixed with Orthodontic Treatment? Orthodontics isn’t just about making your teeth straight or making them look better; it’s also used to correct bite problems. Your bite (how the top and bottom teeth meet) can affect how well you chew your food and can also make it harder for you to maintain good oral hygiene. This is why a full set of braces or Invisalign is sometimes needed, rather than separate treatment of the top or bottom rows of teeth. That said, people who already have a good bite may require braces or an aligner only on the top or the bottom teeth. When recommending treatment, your orthodontist will assess your bite to determine whether extractions or surgery are necessary or whether your bite can be corrected with braces or Invisalign. Patients with poor jaw alignment may require additional treatment in the form of either orthopaedic appliances (devices used to influence the growth and/or position of bone) or surgery. teeth into the desired position. Treatment can vary from a few months in straightforward cases to two to three years for very complex cases. Another factor is the type of treatment option you choose; treatment with conventional braces is likely to have a different timeframe from treatment with Invisalign. Your treating orthodontist will be able to give you a time estimate at your initial consultation. Excellent oral hygiene is crucial for anyone wearing braces or Invisalign. With braces it’s particularly important to make sure the areas around your braces and along your gum line are kept free from plaque. As these areas are more difficult than usual to clean, we advise patients with braces to book regular teeth cleaning appointments with one of our dental hygienists. If you choose Invisalign aligners, your twice-daily oral hygiene routine of cleaning and flossing can easily continue because the aligners are removable. Also, with braces you might occasionally loosen a bracket or the wire, either by eating something hard, when chewing or through particular physical activities. In such instances you should make an appointment with your orthodontist so they can repair your braces. For specific care instructions, visit our individual orthodontic treatment pages. What Is a Retainer and Will I Need One after My Orthodontic Treatment Is Completed? It is highly likely your teeth will move after your braces are removed, especially within the first few months, when the gums and bone around your teeth are readjusting and need to firm up. For this reason, once orthodontic treatment is completed and the braces or Invisalign trays are no longer required, your teeth must be kept in their new position with a retainer. Depending on your dental requirements, a retainer can take the form of either a removable clear plastic mould worn over your teeth or a fixed wire attached behind the teeth that keeps your teeth stable while the bone and gums adapt to their new alignments. The length of time for which you will need to wear your retainer is very much dependant on your individual case, and your orthodontist will prescribe on a case-by-case basis. What is Orthognathic Jaw Surgery? Orthodontic treatment can be used to fix most bite problems. If, however, the patient is an adolescent or an adult and the problem is so severe that orthodontic treatment alone cannot correct it, then jaw surgery (also known as orthognathic surgery) may be required. Your orthodontist will assess whether you require jaw surgery. All such surgery is carried out by an oral & maxillofacial surgeon – a registered specialist with degrees in dentistry, medicine and surgery. More information about jaw surgery can be found here. There are many different factors involved in the cost of orthodontic treatment. For both braces and Invisalign, the more involved the treatment, the higher the likely cost. A simple treatment that may take six months would naturally cost less than two to three years of orthodontic treatment, including the removal of teeth and oral surgery to correct the patient’s bite or reposition of their jaws. For patients with braces, the type of braces used will largely determine the cost of the treatment. Conventional braces are still the most commonly used orthodontic appliance and are the least expensive option. However, if the appearance of metal is not to your liking, there are also clear braces. While these usually achieve the same result, they are more aesthetically pleasing and tend to cost more due to the higher value of the materials used. Then there are also internal lingual braces and Invisalign, both of which are individually customised to fit you and no one else, which is reflected in the price. Your choice of clinician can also affect the cost of treatment. At Smile Solutions, your orthodontic treatment will only ever be performed by a specialist orthodontist, while elsewhere you might be seen by a general dentist for Invisalign treatment. Before you undergo orthodontic treatment, it’s important to understand the difference between these two types of practitioner. What’s the Difference Between a General Dentist and a Specialist Orthodontist? 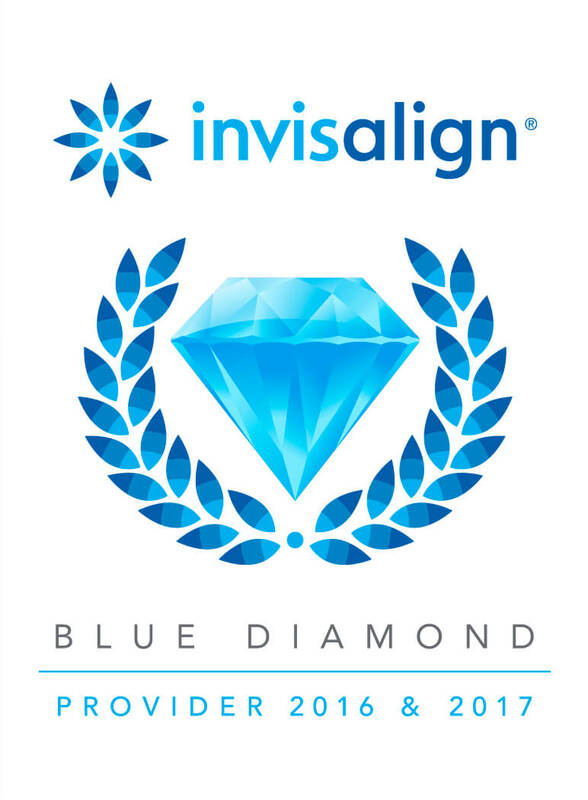 Some general dentists have obtained certification that entitles them to carry out Invisalign treatment. However they are not specialists and are not qualified to treat with any other type of braces. For treatment with braces you need to see a specialist orthodontist. These practitioners have had three to four years of additional training in the specific field of orthodontics on top of their dental degree. The training qualifies them for registration with the Dental Board of Australia as a specialist and enables them to gain comprehensive experience in their field of expertise, with their sole professional focus being on correcting the position of teeth. Seeing a specialist orthodontist for your orthodontic treatment means you receive specialist care from a highly trained and experienced expert. Patients often ask their orthodontist to outline for them the relative advantages and disadvantages of conventional braces, internal lingual braces and Invisalign and to explain which are the more cost-effective. Different orthodontic treatments will work differently for each patient, so treatment must be individually tailored. It’s important to have a consultation with an orthodontist to talk over which treatment plan will work best for you. 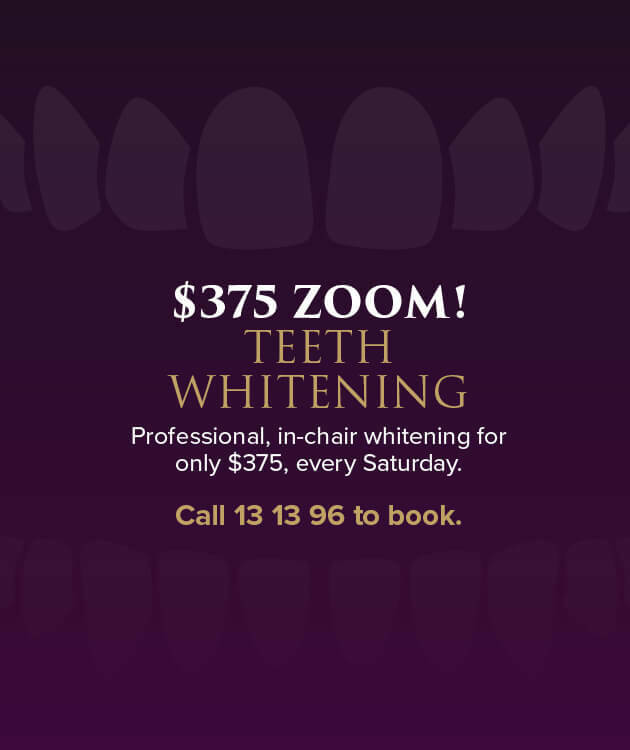 Feel free to contact us at Smile Solutions on 13 13 96 to book your complimentary consultation. Who Would Perform my Orthodontic Procedures? At Smile Solutions your orthodontic treatment will be carried out by one of our specialist orthodontists. If you require jaw surgery, that will be performed by one of our oral & maxillofacial surgeons. Smile Solutions is Australia’s largest dental practice, which means we cater to all your dental needs under the one roof. 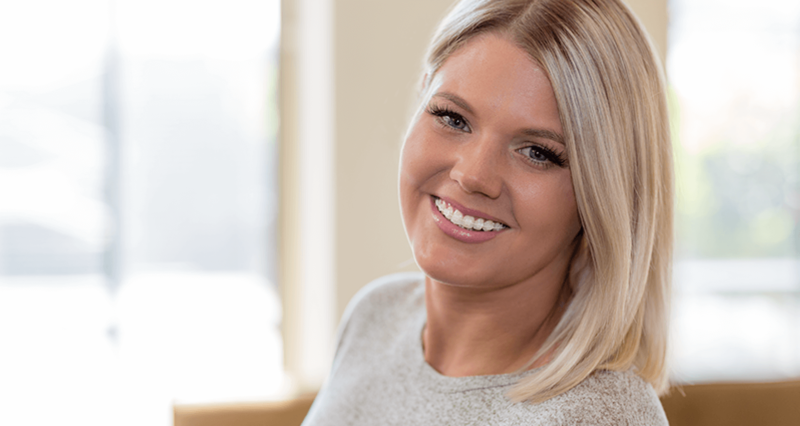 Since 1993, Melbourne’s Smile Solutions has offered patients resident orthodontist care in the same location as general dentistry, providing all the latest treatment options, including Invisalign and internal lingual braces. We have a team of six experienced orthodontists on hand to perform your orthodontic treatment and help perfect your smile. With these specialists practising in the same location as our general dentists and hygienists, Smile Solutions’ orthodontic patients can have their treatment back-to-back with general dental check-ups and cleans, without leaving the building. We pride ourselves on our visually beautiful and serene practice, which puts our patients at ease during any dental treatment. We want to make your experience with us as easy and stress free as possible, and you can be sure we will provide you with the highest level of care.